I’m a huge fan of Hollie’s sustainable approach to the vintage life so today, I thought I would talk to you about why I think op shops are a perfect fit for that style of living. Op shops. Thrift stores. Charity shops. Whatever you might call them in your neck of the woods, they are absolutely marvellous places for slowing down, sourcing vintage goodness and giving back to the community all at the same time. Here are just a handful of reasons why I think op shops are good for more than just your budget. You know when you go to the shops in search of a particular dress and you completely fail to find it? Op shops are just like that all the time. At first glance, this might seem like a negative, but I think it’s merely a particularly good way of achieving a sort of zen state in the modern world. Op shops are fantastic at teaching us to see the things around us that we often miss in the middle of being busy. When you don’t find what you’re looking for in an op shop, you suddenly realise you’re surrounded by a whole lot of stuff you weren’t looking for… and it’s all amazing. For example, I didn’t have any plans to make a 1960s coat until I found this pattern in exactly the right size sitting in plain view in a Bayswater op shop. That wasn’t what I was looking for (of course). I’d actually been on the hunt for a Scrabble game, which I didn’t find (again, of course). Did I leave happy, despite not finding what I was looking for? Yes, I did. Op shop zen state: achieved. I’ve always been fascinated by the way people lived in the past and op shops are an amazing way of coming into direct contact with the way things were done half a century or so ago. For example, marking hems will no longer be an issue for me, thanks to this unused hem marker I found in a Tecoma op shop, complete with its unopened bottle of powdered chalk. I haven’t used it yet but I shall. 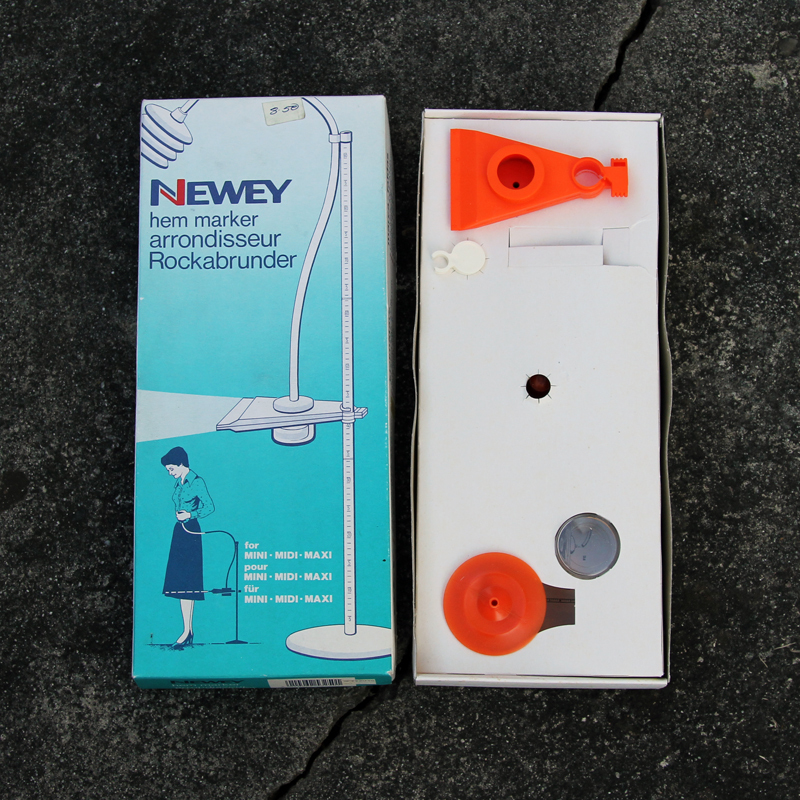 And on that day, we will discover if dressmaking ladies in the 1970s were enjoying this revolutionary and useful device or merely cleaning a lot of powdered chalk out of their carpets. If you’re on the hunt for a vintage wardrobe, look no further than an op shop. If, like me, you’re into making your own vintage styles, you will find yourself a little spot of heaven in the crafting area. Old knitting patterns, sewing patterns from the sixties, fabric, haberdashery, all the ‘Lightning’ brand zips your heart desires… it’s all there! 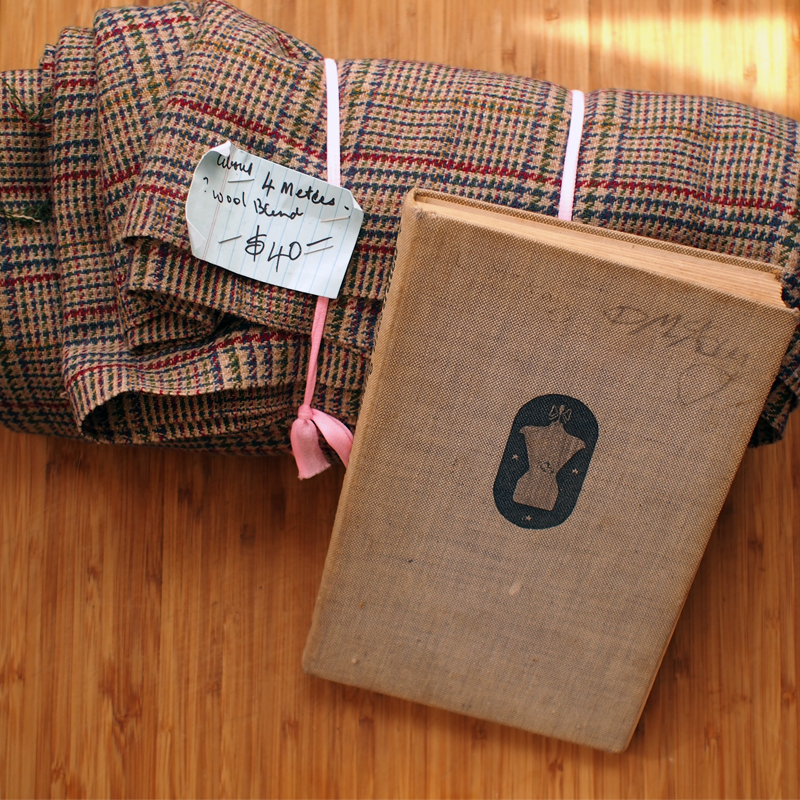 I’m absolutely in love with the idea of making ‘new’ vintage and few things thrill my would-be experimental archaeologist heart like following a 1940s pattern for a fair isle bonnet with notes from a previous owner. That was probably the most I’ve spent on an op shop item but how could I resist? A single metre of wool blend fabric would cost me at least that much in Spotlight. This way, I know my money’s going back into the local community rather than into the coffers of a chain store and I get to make all those 1940s skirts I want to wear. 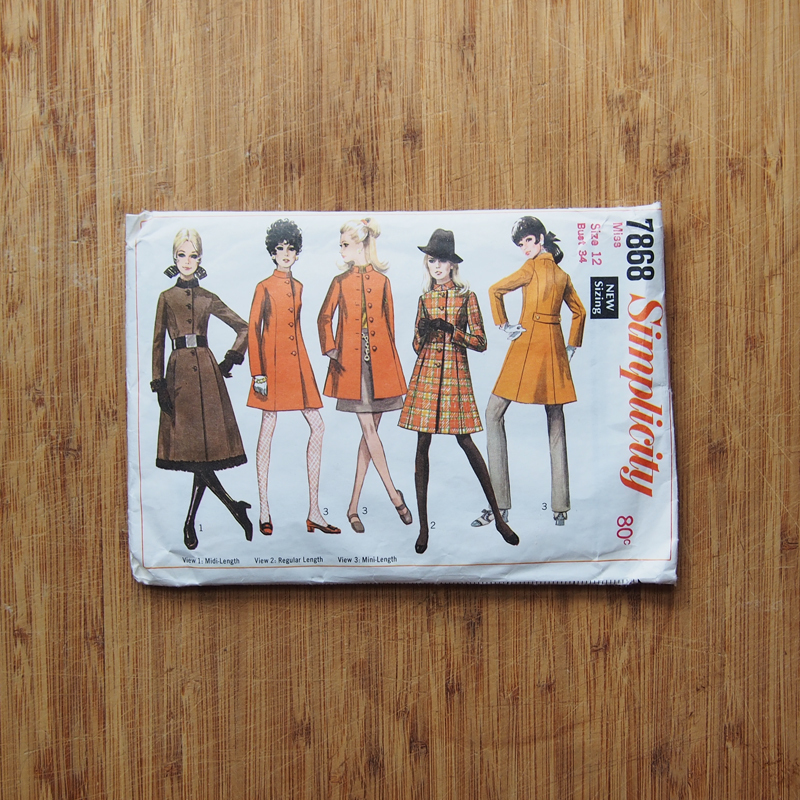 And maybe that 1960s coat from the pattern earlier. And possibly about a dozen other garments, given how much fabric there is. The book in front would be Practical Home Dressmaking Illustrated by Odhams Press, which cost me a mere five dollars and comes straight from the 1940s – the perfect source for some genuinely vintage patterns (which I will ideally sew on my treadle sewing machine, once I fix it up, just to add that extra touch of authenticity). I often judge op shops by whether they have a basket of lemons at the counter or not. And given that I’m about to move to a house with no resident lemon tree, this is going to become even more important. This is the true magic of op shops. You get a bargain, which makes you happy, and you know your money is going back into the community, which also makes you happy. Given that most of the time, we have no idea where our money’s going once we’ve handed it over at the register, this makes for a nice change. Are you an op shop fan, too? Please share your favourite op shopping stories or finds in the comments – I’d love to read about them. And if you’d like to read about my op shopping (and other) adventures, feel free to drop by Katie Writes Stuff and say hello!